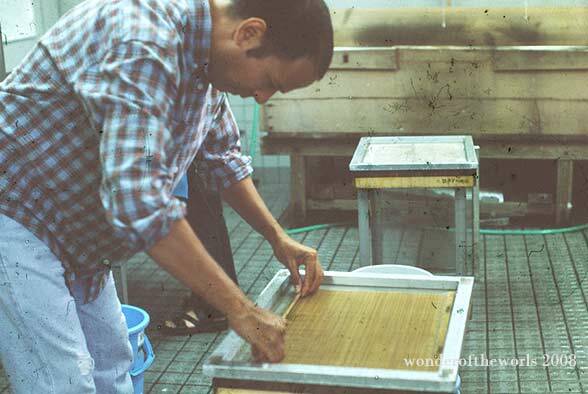 One of the washi makers at the Mino Washi Museum, Gifu prefecture, Japan shows the method of making sheets of paper. The tray where a sugeka or bamboo screen sits. 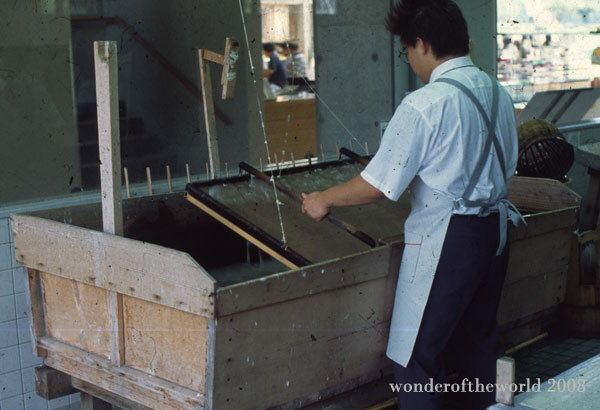 The tray is dipped into the kozo solution and is worked back and forth and from side to side. This process is called Kamisuki. The art of Kamisuki is divided into three stages. Under the strict guidance of Toshiko Ichihara, Malgorzata Niespodziewana is tilting the tray side to side. I do recall that she slapped your arm if you were not doing it correctly. 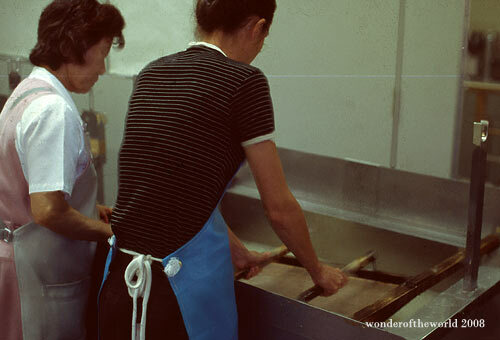 Nelly Agassi with a television crew at the Mino Washi Museum, Gifu prefecture following the steps which include, Keshoumizu with a smaller amount of water is added, then Choushi when a larger amount of solution is scooped into the mold and the tray is moved side and side. This is called Yokoyuri. Moving the mound back and forth is called Choushi, and it also determines the thickness of the paper. The last and final scoop is called Harimizu, and this is to toss off the solution without moving the tray. It helps keep the surface of the paper smooth. Sheets of washi paper are piled on a press board. This is Tamegami or newly formed sheets. Removing the sheet from the sugeka. These are then pressed to remove the presence of water, namely, Oshiba. 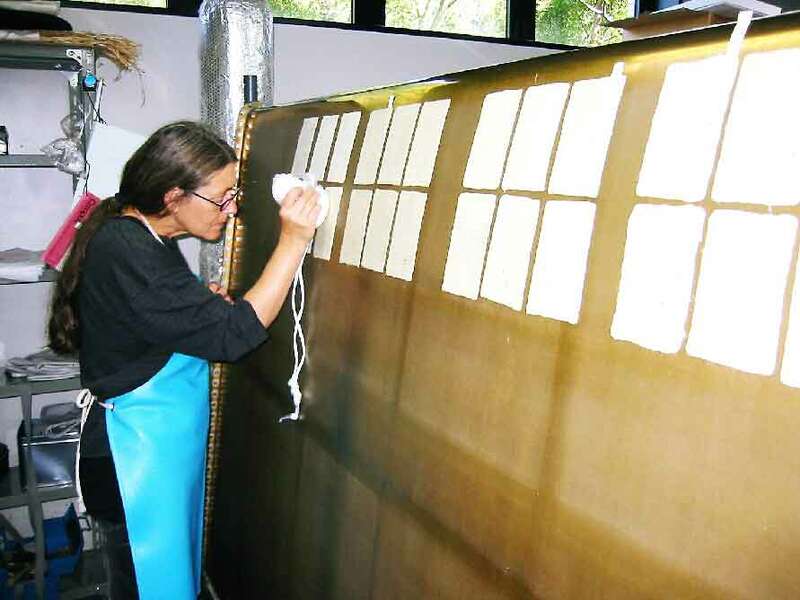 Christina Lindeberg inspecting a sheet of washi paper (Kansou) drying on these large metal dryers.